To sell alcohol in Baltimore City, a person or entity (for example, a bar) must own a liquor license issued by the Board of Liquor License Commissioners for Baltimore City (“Liquor Board”). Usually, there is a set number of liquor licenses authorized in the City. A license transfer occurs when a license owner sells the license to a new owner. 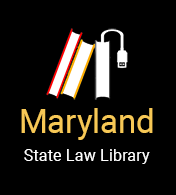 State law (Maryland Code Article 2B) provides the guidelines for transfer, ownership, and renewal of liquor licenses in Baltimore City, MD. Each March, owners must renew a liquor license by submitting a renewal application to the Liquor Board. State law gives community residents a role in deciding if the owner of a liquor license should be allowed to begin operating an establishment in their neighborhood, and if it should be allowed to remain. If you believe an establishment with a liquor license is causing a nuisance in your neighborhood, you can take certain steps against the establishment. All interactions, written and verbal, with the establishment’s owner and employees. First, residents can explain their concerns to the manager or owner of the establishment. If such a conversation is impossible or not fruitful, residents can invite the owner to a community meeting. If the owner is still unresponsive, residents can send a letter to the owner outlining their concerns about the establishment. Send the letter by certified mail. Renewal Hearing: By March 31 of each year, any community seeking to protest the annual renewal of an establishment’s liquor license may submit a petition protesting the renewal of the license to the Liquor Board. This petition must contain the names, addresses, and signatures of at least ten residents who live in the immediate vicinity of the establishment. The Liquor Board will then schedule a public hearing in April at which members of the community and the owner of the liquor license will appear. Transfer Hearing: To be notified when an establishment’s liquor license may change ownership, or when a new community establishment is applying for a liquor license, send an e-mail to the Liquor Board asking to be placed on its transfer mailing list. If you have concerns about an upcoming transfer you may inform the Liquor Board that you wish to protest the transfer. To decide whether or not to grant the transfer, the Liquor Board will then schedule a public hearing at which you and the licensee will appear. Revocation Hearing: Community members may request a revocation hearing where they ask the Liquor Board to rescind an establishment’s liquor license. Revocation hearings are a last resort when all other methods to solve the problems caused by the establishment have failed. Examples of circumstances that are grounds for the revocation of a license are also found in Maryland Code, Article 2B. Finally, if your community is having trouble with an establishment holding a liquor license, it is recommended that community members consult an attorney with experience in dealing with the Baltimore City Liquor Board. Further, it is recommended to hire an attorney when appearing on behalf of your community at a Liquor Board hearing. By Community Law Center, Inc. Staff Attorney Christina Schoppert; Updated by Aaron Glaser, Esq. From Community Law Center, Inc.